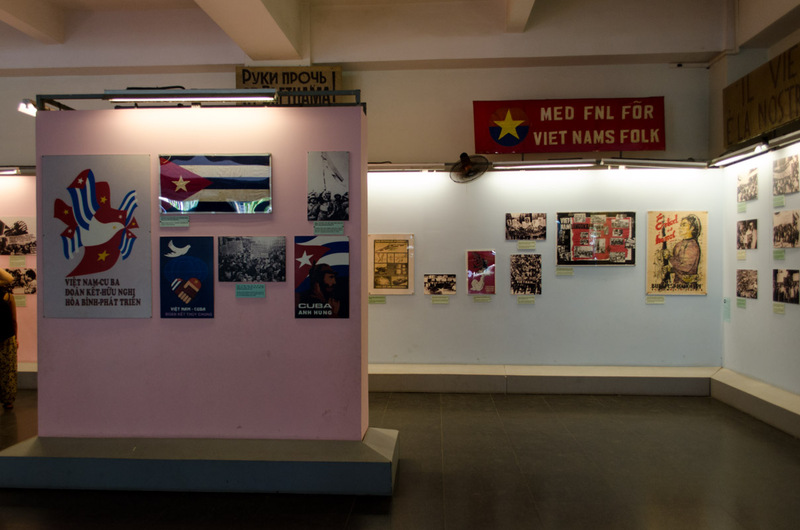 A lot has changed since the war, which the Vietnamese refer to as “The American War.” In speaking to a Vietnamese national, who once worked with the US Military before the fall of Saigon, he mentioned that life in Vietnam was not very good after the war. 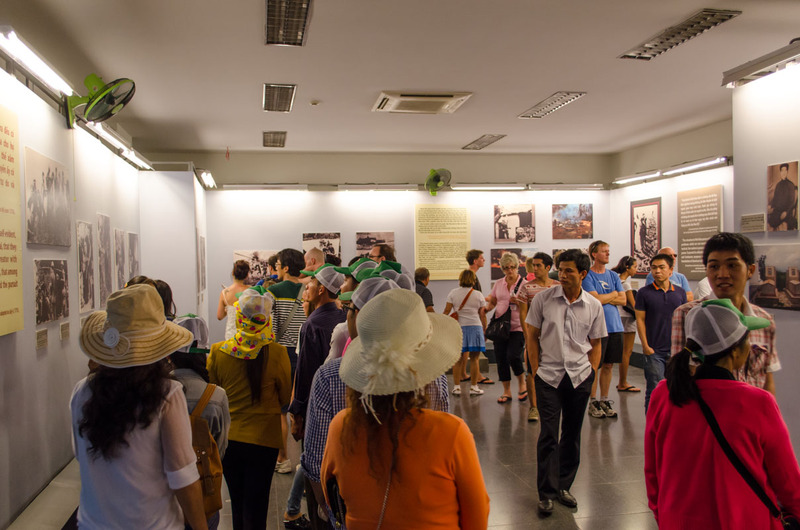 But in 1985, 10 years after the end of war, the Vietnamese government decided to open the doors to capitalism and free trade. The results have been outstanding and Vietnam is now an amazing place to visit. In all honesty, I was expecting Ho Chi Minh City (Saigon) to be a just another giant, polluted city in SE Asia. But I was pleasantly surprised to find it to be a very clean, safe, and wonderful place to visit. The Vietnamese pride themselves in keeping their cities clean and beautiful. 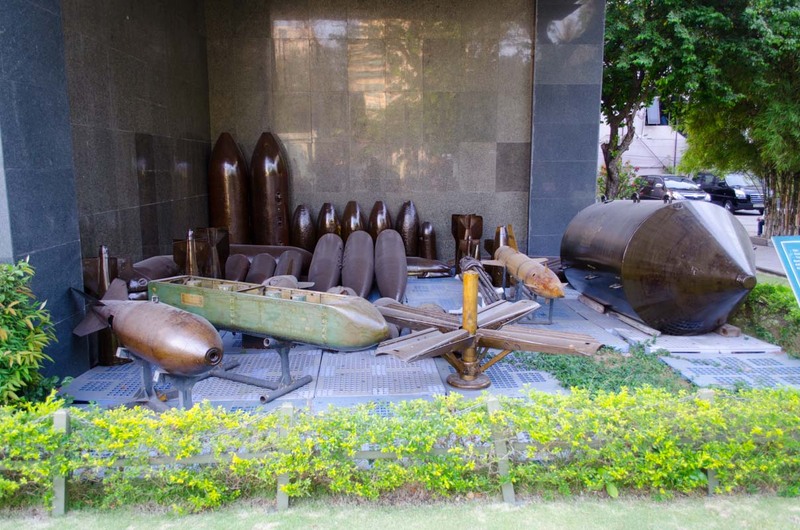 During our stay in Ho Chi Minh City we visited the War Remnants Museum. 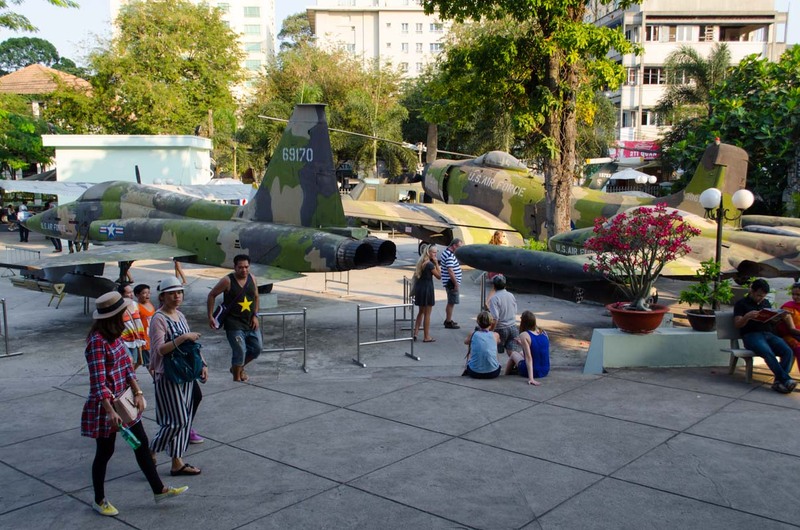 The museum has a collection of US military weaponry used during the war and tells the story of the war from the side of the North Vietnamese and Viet Cong. And as you would expect, the story does not make the Americans look like the good guys. 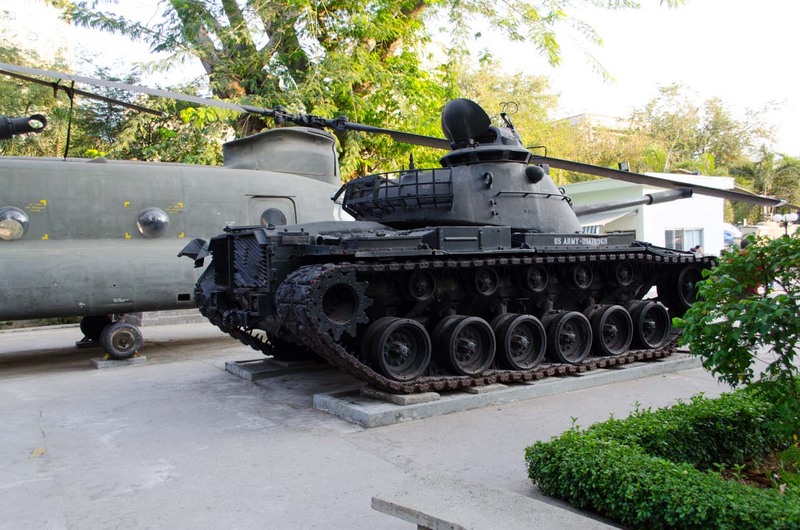 The museum lists the countless international war crimes and atrocities that the US committed during the war, including graphic photos of bodies being dragged behind US tanks and smiling GI’s with severed heads of North Vietnamese soldiers. In total, the United States killed up to 3.1 million Vietnamese service members and civilians, and I can’t blame them for being a little pissed off about it. 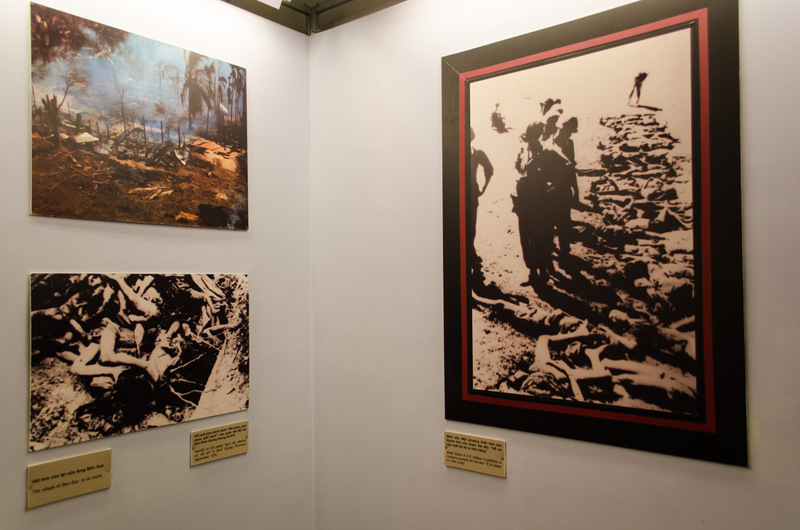 The museum also had an exhibit of photos from war photographers during the war. 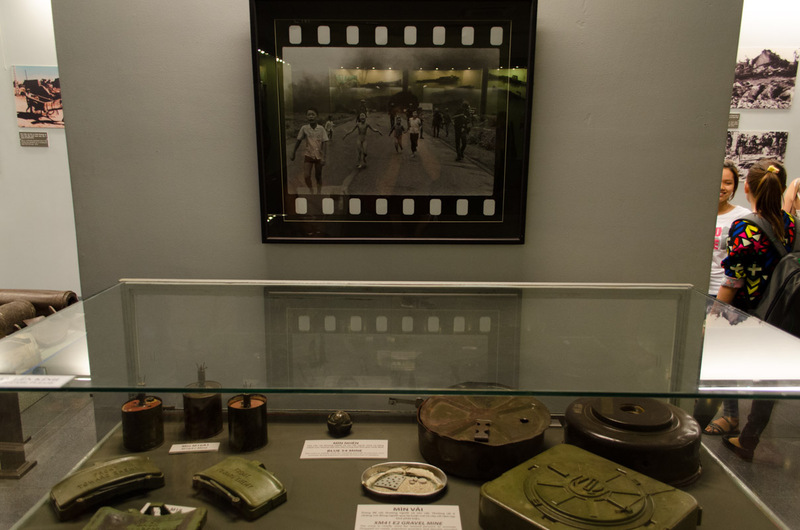 It was shocking to see how many of the photographers lost their lives in Vietnam. While most sane people are trying to get away from dangerous situations, war photographers charge right into the middle of a battle armed with only a camera. War photographers are some serious adrenaline junkies and I always love seeing their work. 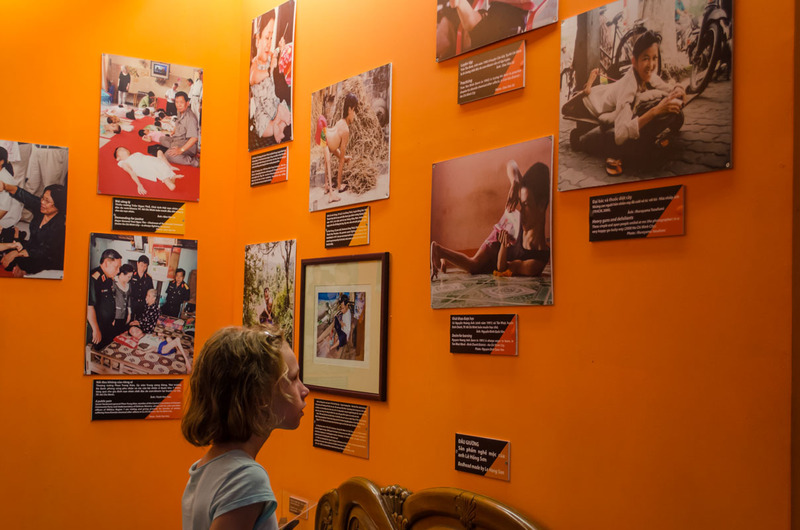 The saddest part of the museum was the exhibit on Agent Orange. Agent Orange is a defoliating agent (herbicide) that was used to deprive the enemy of food and cover. Between 1962 and 1971 the US military sprayed 20,000,000 gallons of Agent Orange over Vietnam, Laos, and Cambodia during Operation Ranch Hand. 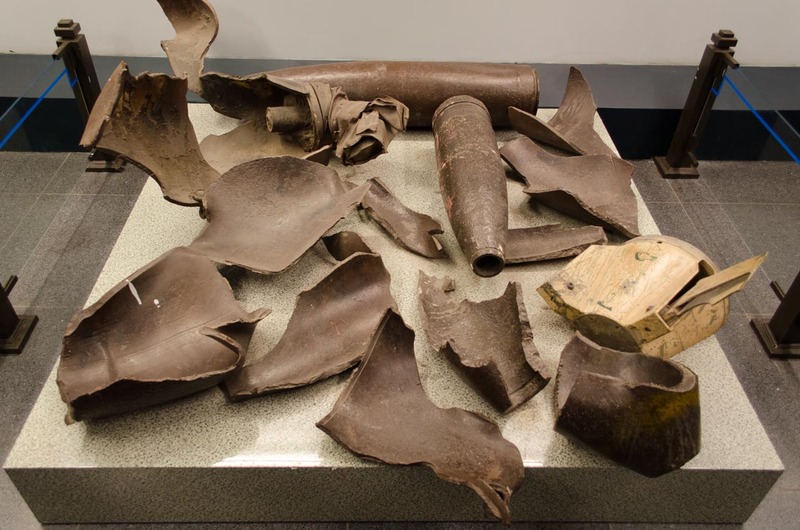 Unfortunately, while being manufactured by the Monsanto Corporation and Dow Chemical for the US Department of Defense, the batches were overheated resulting in the production of 2,3,7,8-tetrachlorodibenzodioxin (TCDD), also known as dioxin. TCDD has been described as “perhaps the most toxic molecule ever synthesized by man” and is responsible for causing, deaths, cancers, and birth defects, even today. 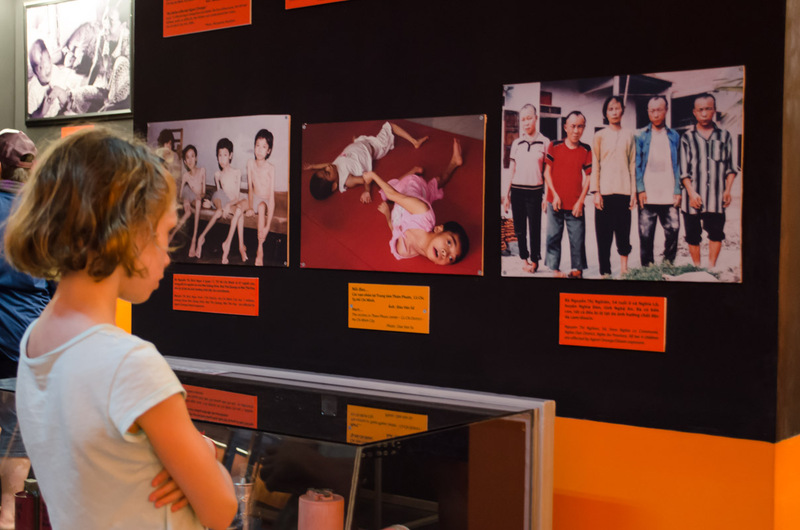 The Agent Orange section of the museum had photos of children born with deformities, which were caused by the spraying of Agent Orange during the war. 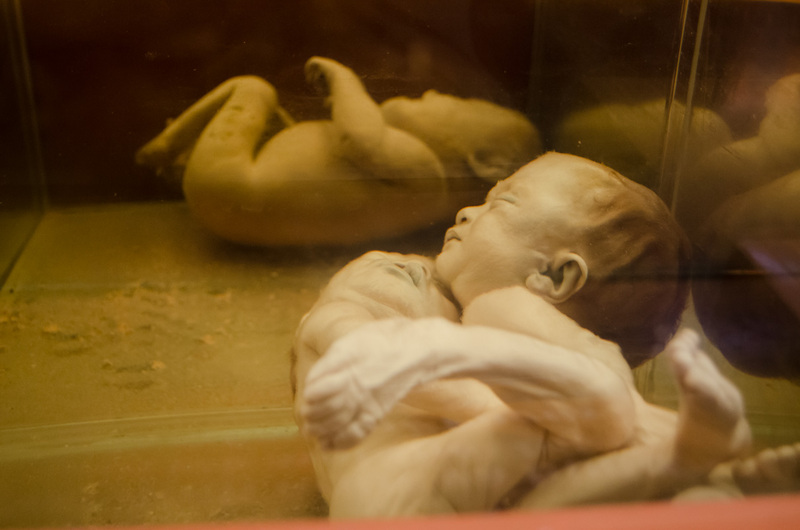 Besides the photos, they also have preserved fetuses with deformities on display. 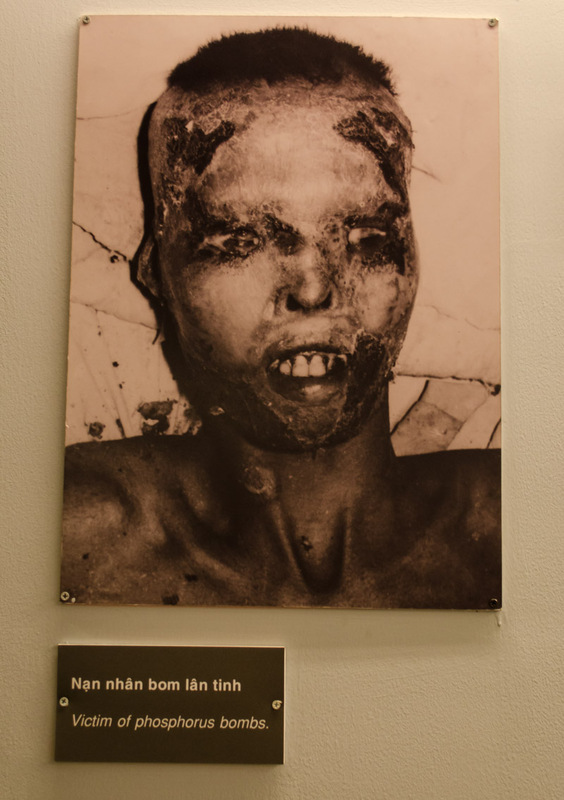 This part of the museum was the hardest to explain to our 9-year old daughter and she found the pictures of the deformed children very sad, as did we. It’s always good to get two sides of a story to get a proper perspective. Having grown up in the era of the Vietnam or American War as they call it, I will tell you that it was very controversial. It was a war that split the fabric of the US because at the time people were drafted. Once you were 18 you were subject to be called, no choice. You were at the mercy of the law. There were cries against the war. Some of our friends died, family members were killed, and soldiers were treated shabbily when they returned blamed just because they had been required to go to the war. Some avoided the draft by going to Canada. Kerri’s father was spared only by the fact there were educational deferments. But he was the next one to go from his area. It was a horrible situation. Agent Orange not only caused problems in Viet Nam but soldiers also died of cancer and other conditions caused by the stuff. The 60s and the 70s were times of environmental unrest and the beginning of understanding for what environmental toxins can do. I don’t blame them for being angry and am saddened that such a toxin was released. None of us liked the war. 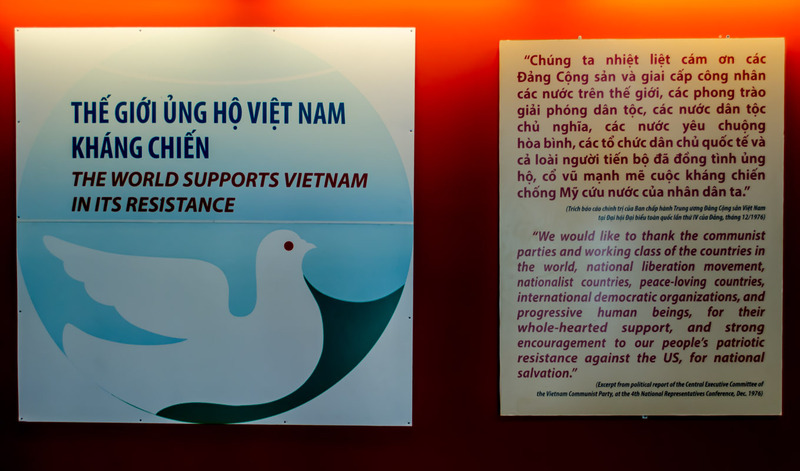 We did not like what it did to the people of Viet Nam nor the people of our country. I like you, Jason, question this war and others we have sent our young men and women to. I grieve for the mothers of the world who have lost children to war through death, physically and mentally. Yet, I wonder, if we had not intervened in World War II–what would have been the end? We were criticized then for not taking a stand for a long time. Hitler’s march through Europe was stopped by taking a stand. I would love for it to be a simple question of peace vs. conflict. The best we can do is to make peace with those near us and hold ourselves accountable to be peaceful. Last year when we went to the East and Washington DC. we visited war memorial after war memorial, battlefield after battlefield. I asked myself the question “Why can’t we live peacefully.” To me this is one of the most basic questions we humans need to ask and answer. We also visited this one. 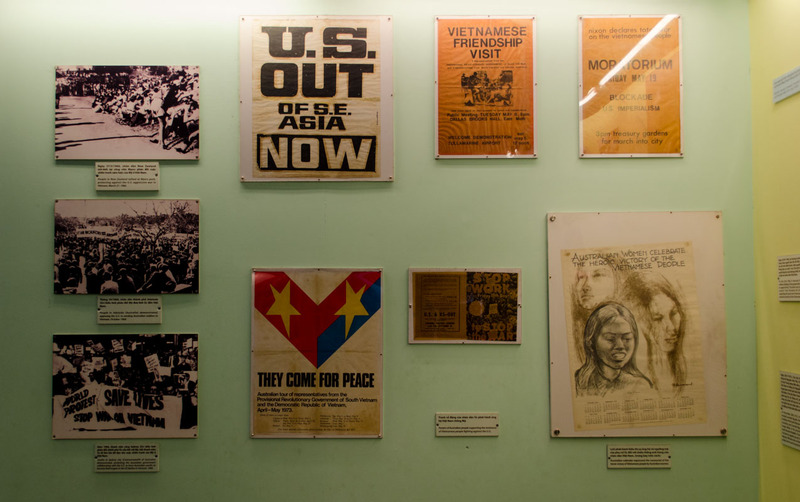 I was impressed that they actually had photos of US war protests as well as international protests. And the photography exhibit was indeed stunning. 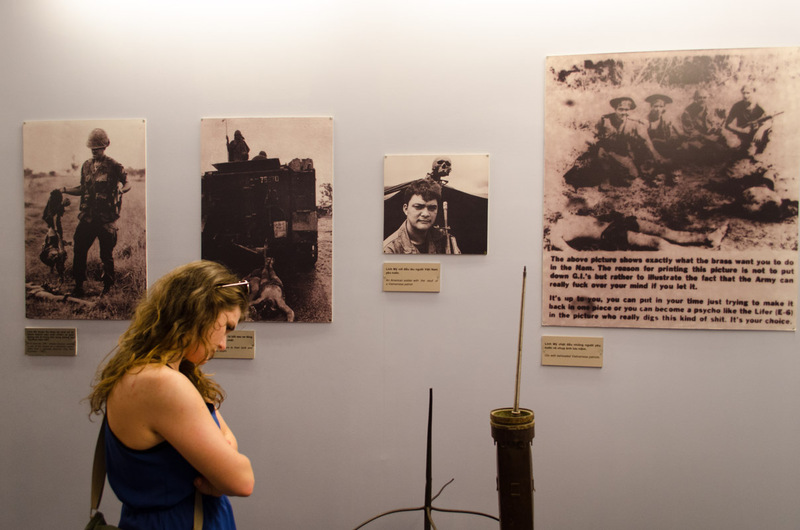 If you get to Hanoi, check out the Womens Museum – very interesting information on womens’ roles in the French and American wars. And very well done in general! Our experiences in Central Europe and Vietnam have really highlighted how little we learned about the wars in school and how biased the information was… Yep, two sides are good. Sydney is lucky to get this exposure so young. I totally agree and have just written a post (yet to be published) about this topic – travelling in Asia has really made me question the wars western countries choose to fight and those they condemn and ignore. 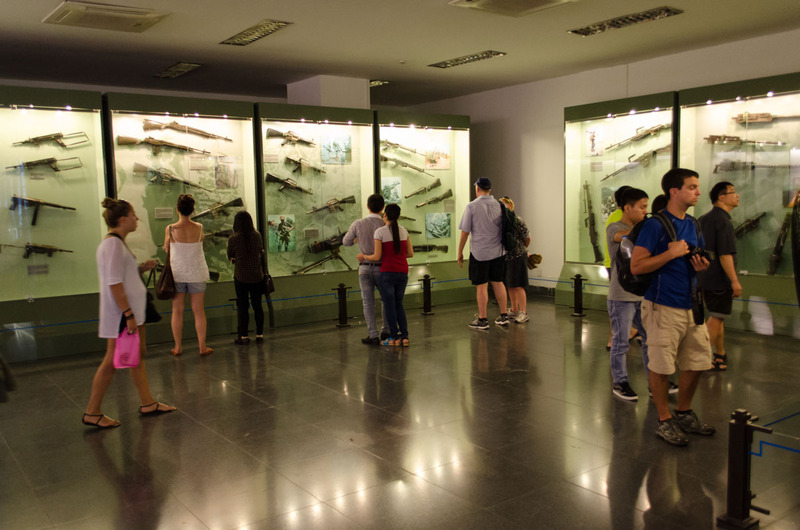 I found visiting both the War Remnants Museum and the Killing Fields harrowing but very important experiences – we all have lessons to learn from these hideous episodes of history.